Tealeaf's Customer Experience Management Solutions provide the common "view" of the online customer. "¿ What can you do for your business?" is a software that can be used locally or in a cloud that includes customer experience solutions to capture user interactions on websites and mobile applications. It provides greater visibility into the digital experiences of customers and information about their behavior in mobile and web channels. Thanks to the possibility of quickly revealing areas of friction, different teams in the organization can solve the root cause of the problems. 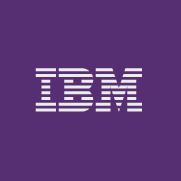 Tealeaf, a leading provider of customer behavior analysis solutions and management of the digital customer experience, is now part of the company's marketing management at IBM. Tealeaf's customer experience management solutions offer key visibility, information and answers to help businesses meet their online customer retention and conversion goals, only they must pay to have support under their contract. It is not free. In cases where an update is not the right way to solve a product problem, it is always recommended to back up your documents. I detected the difficulties of the clients, whose actions are successful or fail with the identification of patterns of difficulties and solve the problems with alerts and events practically in real time. Optimize usability by seeing how customers interact on each page through usability analysis, heat maps, attention maps, link analysis, comparison analysis, form analysis and accessibility analysis. Solve problems more quickly quantifying the impact on income of each problem that the client finds in his navigation to support decision making based on data on where to prioritize resources. "Tealeaf Systems Administrator and Web Analytics Manager"
I like the level of granularity Tealeaf gives you when analyzing customer experience on the web. Where tools like Omniture or Google Analytics only give you the big picture, Tealeaf can do that plus allow you to see the cause of any anomalies. There is not much to dislike. I will say getting the full use of the tool can be a very complex undertaking, it really isn't something you can pick up in a week and get 100% benefit from. You need to put in the time to learn it and become familiar with all the ways it can provide value. It is pricey and quite an investment implementation-wise. Know how you plan on using the tool and make sure you are going to be using it correctly to get the full power Tealeaf can provide. When used properly, no other tool matches its capabilities. The main business problem we are solving is our customer experience on the web. Anything from information gathering to purchasing we are using Tealeaf to make it a better experience for our customers. I love the ability to be able to see screenshots of actual user sessions. We use it all the time when trying to diagnose issues with customers. Since we can see what they are seeing and trying to do, it helps to troubleshoot issues. Depending on how the users are accessing the site, it can be difficult to see their exact flow and what they were trying to achieve. Some types of content do not display well through the tool. If you have a need to diagnose customer issues directly or want to monitor your site for common problems, then this tool fits multiple hats. I would recommend it. We also use it for monitoring and alerting on errors and other issues. We have realized that we can sort and group sessions to find common errors across common user agents and that we can address specific customer issues directly by looking at their own session, instead of just asking generic troubleshooting questions. I dont dislike anything to be honest since everything they do is really amazing. "Tealeaf has transformed the way we interact with our online customers"
NOTHING, it's awesome. We love the product. The Customer Service Agents are able to assist the customer without asking lots and lots of questions about what browser, what operating system, where are you on the page. It has eliminated a lot of the frustration for both the customer and the agent - thereby creating a better customer experience. The data it can capture for user web experience. Lack of online training we can get for Tealeaf. Not enough knowledge currently to offer recommendations. Capturing user behavior on our websites. This tool can resolve it and also allow analytics for solutions for root causes. "IBM Tealeaf is a Smarter Solution for IBM "
IBM Tealeaf has the tools we need to analyze data and look at forward thinking trends and insights. There needs to be a better product integration with other IBM products, including IBM Customer Analytics. Look at all of your options before switching to IBM Tealeaf, especially if you don't already use IBM products. IBM Tealeaf uses the Cloud, so it's a way for more people to integrate and use this service. "A little tricky but worth the time"
Honestly, this is just really a good system overall. I dislike how slow it can be in processing information. Just give it a go for a month. The effort is worth it! "Using Tealeaf for customer triage"
Replaying sessions, exporting sessions, heat maps, click analytics. Infrastructure stability defects, difficulty of support (pretty much need an IBM SOW every year). Have had IBM SWAT team on site for 2 years and we still have issues. The main way we use Tealeaf is for Session Replay for use with customer triage, defect resolution and application improvement. "Great for understanding how customers are interacting with your site"
The cost of the product. It would be great if the price point was better. "Great Product To Understand User Experience"
Session Replay, Ability to know errors right at the browser level. * We monitor all IBM Tealeaf reviews to prevent fraudulent reviews and keep review quality high. We do not post reviews by company employees or direct competitors. Validated reviews require the user to submit a screenshot of the product containing their user ID, in order to verify a user is an actual user of the product.